Description : Ronde en bois avec plaques multiples. Hauteur : 35 cm. Largeur : 35 cm. Prix : The Carroll Smith Memorial Shield Class 1 Design Prize. 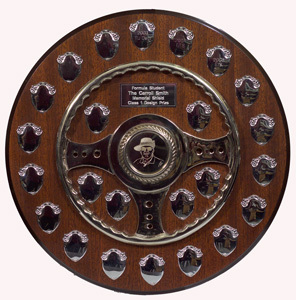 Prix : The Caroll Smith Memorial Shield Class 1 Design Prize.